On May 9, the 2017 China Conference & Business Travel Forum & Fair (CCBTF 2017) opened at the Shanghai International Conference Center. More than 500 MICE tourism professionals and business buyers from foreign consulates in Shanghai, foreign tourism bureaus, MICE bureaus’ offices in Shanghai, various places’ tourism administrations, specialized convention service companies, MICE tourism agencies, convention/exhibition venues, convention hotels, convention and exhibition associations, airline companies and PR consulting companies participated in this forum. Deputy Director of the Shanghai Municipal Tourism Administration Cheng Meihong attended the forum and delivered an opening speech. CCBTF has been held six times and received attention and support from numerous colleagues since 2011. 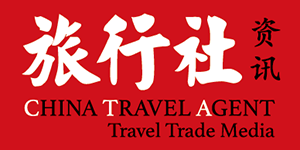 This year’s forum jointly hosted by seven MICE tourism destination cities including Shanghai, Beijing, Nanjing, Hangzhou, Ningbo, Suzhou and Jiaxing has created strong momentum of interregional cooperation and at the same time received strong support and help from the International Congress and Convention Association (ICCA) and Global Business Travel Association (GBTA). CCBTF kept enriching its connotations, improving services and expanding influence in six years of endeavor and cultivation, and has become an important exchange and communication platform for China’s MICE and business travel industry. “Travel Experience Design”, a classic speech brand in CCBTF, will continue to share the best knowledge and experience this year. Two influential guests in the fields of environmental protection and the Internet will discuss the topics of protection of the Yangtze River and community economy at the forum, which will enhance services’ value and energy level through introducing and spreading innovative service experience and design concepts of different industries, attract more attention to the service industry’s concepts and value, and bring a feast of profound and brilliant thoughts to the representatives present. This forum’s carefully designed topics with novel forms and rich contents cover many hot issues in the industry: some well-known Chinese economic scholars will interpret the pattern of domestic economic development from a global perspective; some senior international industrial experts will interpret China’s convention and exhibition model with worldwide strategic visions to tap hot areas of the industry and future opportunities; there will be discussion on the relationship between the convention and exhibition industry and the capital market as well as exploration of changes brought to future digital marketing by new technologies’ emergence and upgrading; there will be discussion on the convention and exhibition industry’s supply of and demand for talents as well as analysis of business travel models suitable for Chinese enterprises. Besides, CCBTF and GBTA will continue to release the GBTA BTI™ Outlook: China 2016 H2 professional report, jointly discuss various topics of business procurement and management, learn about industrial trends, predict the domestic business travel industry’s prospects for people working in the industry, and jointly promote progress and development of China’s business travel market. The guests at the forum also include professionals from various trades, from the well-known ICCA and GBTA to top enterprises in the industry such as China Travel Service, China Youth Travel Service, UBM, MCI, Ctrip, CITS American Express and Datang Business Travel; from large multinational enterprises such as Apple, Fosun and Bertelsmann to brand venues and venue management consulting companies such as the China National Convention Center, the Shanghai Mercedes-Benz Arena, Eventbooking and China Public Venue Management; from professional industrial media such as The Economist and MICE China to innovative enterprises in the industry such as huizr.com, Daolan, Sinofastlane and CBi China Bridge. CCBTF provides a cross-boundary feast for the industry. Since the forum was held in 2011 for the first time, it has developed and accumulated experience for six years. The brand of CCBTF will continue to contribute to and lead the industry’s innovation and development. We believe that in the future, CCBTF will receive more attention from colleagues both at home and abroad, become an annual grand occasion for their reunion, and propel the Chinese MICE and business travel industry’s prosperous development.